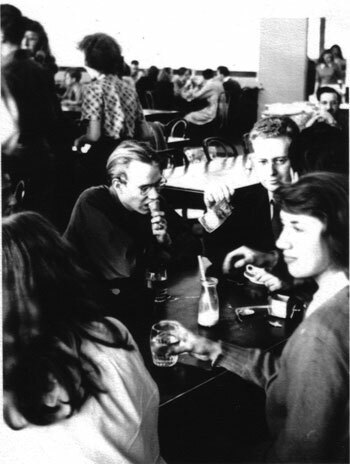 Andy Warhol (left) and Philip Pearlstein with classmates at Carnegie Tech. In 1946, after three years in the army, Philip Pearlstein returned to his hometown of Pittsburgh and became an art student at the Carnegie Institute of Technology. Here, in an excerpt from his autobiography in progress, Pearlstein remembers his student years, his friendship with the young man at the next easel named Andy Warhol, and their struggles to establish their careers in New York City. Check out our Philip Pearlstein collection here & our Andy Warhol collection here.